On the 8th (Wed), take in nature's colorful creations at Royal Botanic Garden Sydney, get some thrills on the water with a speed boat tour, and then take a stroll through The Rocks. For traveler tips, more things to do, ratings, and tourist information, go to the Sydney trip builder site . If you are flying in from Switzerland, the closest major airport is Sydney Kingsford Smith International Airport. In July, daily temperatures in Sydney can reach 21°C, while at night they dip to 9°C. Finish up your sightseeing early on the 8th (Wed) so you can travel to Gold Coast. 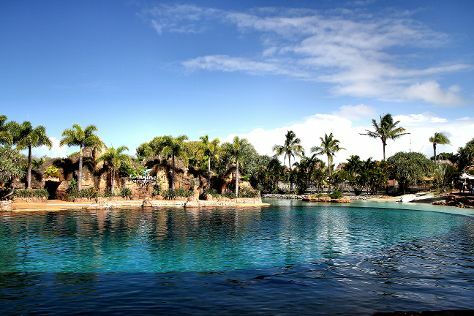 Kick off your visit on the 9th (Thu): observe the fascinating underwater world at Sea World Theme Park. To find where to stay, more things to do, reviews, and other tourist information, use the Gold Coast online driving holiday planner . Fly from Sydney to Gold Coast in 3.5 hours. Alternatively, you can do a combination of flight and train; or drive. Expect a daytime high around 24°C in July, and nighttime lows around 11°C. Cap off your sightseeing on the 9th (Thu) early enough to catcht the bus to Byron Bay. 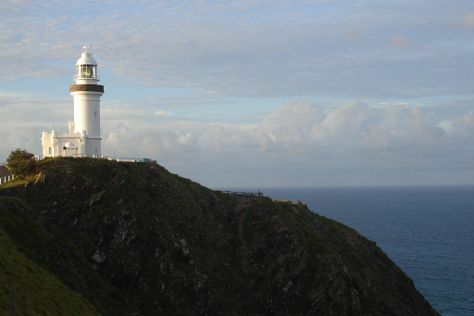 Start off your visit on the 10th (Fri): add some adventure to your tour with a kayaking and canoeing tour, trek along Cape Byron Walking Track, and then enjoy the sea views from Cape Byron Lighthouse. On your second day here, glide peacefully along the water with some of the best stand-up paddleboarding in the area, then brush up on your military savvy at Ballina Naval & Maritime Museum, then take in the waterfront at Ballina Historic Waterfront Trail, and finally indulge in some personalized pampering at some of the best spas. For traveler tips, photos, and more tourist information, you can read our Byron Bay day trip planning website . Take a bus from Gold Coast to Byron Bay in an hour. Alternatively, you can drive. Traveling from Gold Coast in July, you can expect nighttime temperatures to be a bit cooler in Byron Bay, with lows of 7°C. Cap off your sightseeing on the 11th (Sat) early enough to go by car to Yamba. Yamba is a town in northern New South Wales, Australia at the mouth of the Clarence River. Kick off your visit on the 12th (Sun): take some stellar pictures from Maclean Lookout, kick back and relax at Main Beach Yamba, and then enjoy some friendly competition at Bowlo Leisure Centre. To find maps, more things to do, and more tourist information, go to the Yamba online attractions planner . You can drive from Byron Bay to Yamba in 2 hours. In July, daily temperatures in Yamba can reach 23°C, while at night they dip to 5°C. 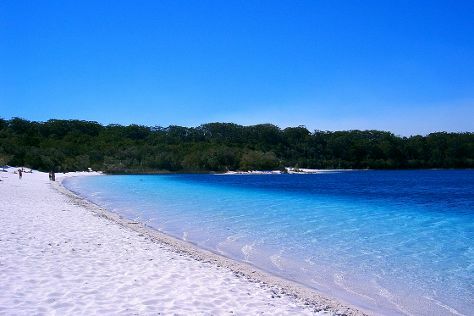 Cap off your sightseeing on the 12th (Sun) early enough to travel to Fraser Island. Start off your visit on the 13th (Mon): delve into the lush surroundings at Central Station Rainforest and then contemplate the waterfront views at Lake McKenzie. On the 14th (Tue), you'll have a packed day of sightseeing: contemplate the waterfront views at Champagne Pools and then contemplate the waterfront views at Indian Head. To find other places to visit, photos, ratings, and other tourist information, read our Fraser Island trip itinerary maker website . Use the Route module to find suitable travel options from Yamba to Fraser Island. Expect a bit warmer evenings in Fraser Island when traveling from Yamba in July, with lows around 11°C. Finish your sightseeing early on the 14th (Tue) so you can travel to Noosa. 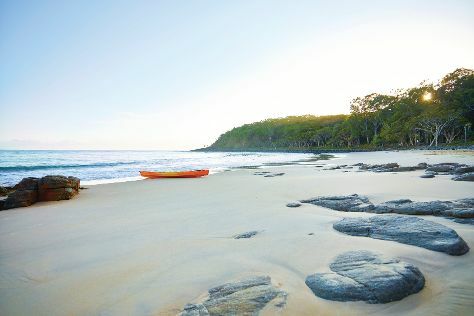 Kick off your visit on the 15th (Wed): explore the wealth of natural beauty at Noosa National Park. Keep things going the next day: identify plant and animal life at Point Cartwright, kick back and relax at Mooloolaba Beach, and then take a tour of HMAS Brisbane. To find out how to plan a trip to Noosa, use our trip itinerary maker. Do a combination of car and ferry from Fraser Island to Noosa in 7 hours. Alternatively, you can do a combination of car, ferry, and train; or do a combination of car, ferry, and bus. Wrap up your sightseeing on the 16th (Thu) early enough to drive to Brisbane. On the 17th (Fri), explore the world behind art at Queensland Art Gallery and then let the kids burn off some steam at South Bank Parklands. Get ready for a full day of sightseeing on the 18th (Sat): take some stellar pictures from Mount Coot-tha Lookout, then identify plant and animal life at Lone Pine Koala Sanctuary, and then have some family-friendly fun at Zoccer Sports - Bubble Soccer. 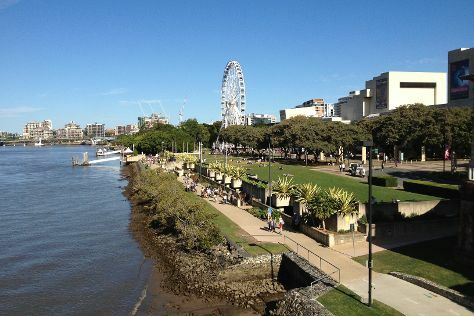 Planning Brisbane trip won't be overwheling when you use's Insprock itinerary maker. Traveling by car from Noosa to Brisbane takes 2 hours. Alternatively, you can take a train; or take a bus. Expect a daytime high around 24°C in July, and nighttime lows around 11°C. Cap off your sightseeing on the 18th (Sat) early enough to travel to Hamilton Island. Kick off your visit on the 19th (Sun): see some colorful creatures with a scuba or snorkeling tour. On the 20th (Mon), you'll have a packed day of sightseeing: explore and take pictures at Go-Kart Racing Track, then take in the waterfront activity at Hamilton Island Marina, and then get your game on at Sports Club. You can fly from Brisbane to Hamilton Island in 3.5 hours. Alternatively, you can do a combination of train, bus, and ferry; or do a combination of bus and ferry. Traveling from Brisbane in July, Hamilton Island is a bit warmer at night with lows of 21°C. Wrap up your sightseeing on the 20th (Mon) early enough to ride a ferry to Airlie Beach. Start off your visit on the 21st (Tue): take in the pleasant sights at Bicentennial Walkway, paddle through the water with a kayaking and canoeing tour, then indulge in some personalized pampering at some of the best spas, and finally look for gifts at Grotty Yachty Clothing. Get ready for a full day of sightseeing on the 22nd (Wed): see some colorful creatures with a scuba or snorkeling tour. To see more things to do, traveler tips, and more tourist information, use the Airlie Beach tour itinerary maker site . You can ride a ferry from Hamilton Island to Airlie Beach in an hour. In July, daytime highs in Airlie Beach are 24°C, while nighttime lows are 20°C. Finish your sightseeing early on the 22nd (Wed) so you can travel to Magnetic Island. Kick off your visit on the 23rd (Thu): head off the coast to Magnetic Island Forts Walk, get interesting insight from Tours, and then browse the exhibits of Magnetic Island Museum. To see maps, other places to visit, more things to do, and other tourist information, use the Magnetic Island tour itinerary planning site . Traveling by combination of car and ferry from Airlie Beach to Magnetic Island takes 4.5 hours. Alternatively, you can do a combination of bus and ferry; or do a combination of bus, train, and ferry. Traveling from Airlie Beach in July, you will find days in Magnetic Island are a bit warmer (29°C), and nights are a bit cooler (17°C). Finish your sightseeing early on the 23rd (Thu) so you can travel to Mission Beach. 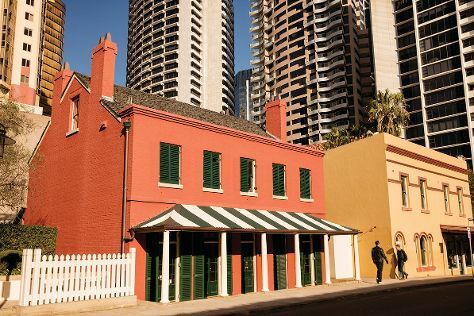 Start off your visit on the 24th (Fri): tour the pleasant surroundings at Mission Beach, view the masterpieces at Helen Wiltshire Gallery, then take the plunge with a skydiving experience, and finally stop by The Pocket. To see photos, ratings, more things to do, and more tourist information, use the Mission Beach tour itinerary builder website . Traveling by combination of ferry and car from Magnetic Island to Mission Beach takes 3.5 hours. Alternatively, you can do a combination of ferry and bus; or do a combination of ferry and train. Wrap up your sightseeing on the 24th (Fri) early enough to drive to Cairns. On the 25th (Sat), see some colorful creatures with a scuba or snorkeling tour. On the next day, identify plant and animal life at Michaelmas Cay and then look for all kinds of wild species at Atherton Tablelands. To see reviews, other places to visit, traveler tips, and more tourist information, use the Cairns holiday planner . You can drive from Mission Beach to Cairns in 2 hours. Another option is to take a bus. In July in Cairns, expect temperatures between 30°C during the day and 20°C at night. Wrap up your sightseeing on the 26th (Sun) to allow time to travel back home.